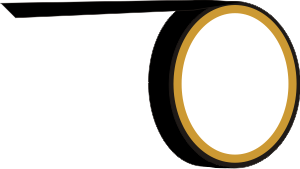 800-582-1554 Mon-Fri 9-5 central time. 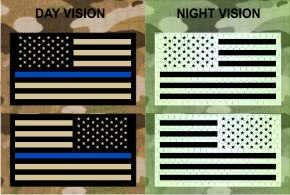 Will not reflect in the visible spectrum. 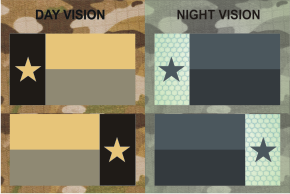 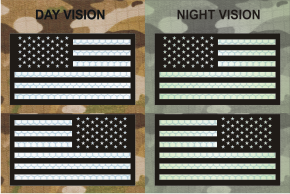 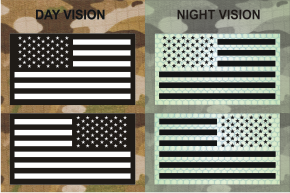 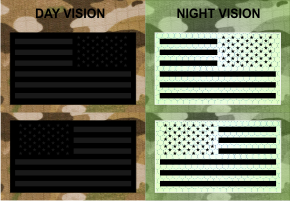 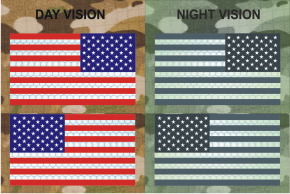 Magic Black areas Reflect Brightly when viewed with Night Vision equipment. Will reflect in the visible spectrum.